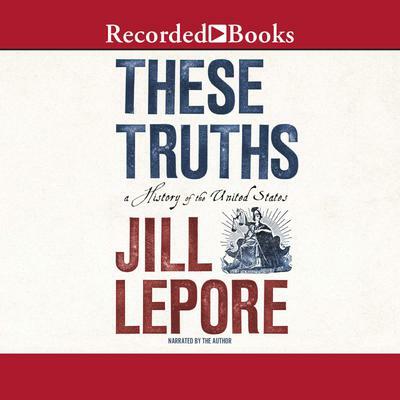 In the most ambitious one-volume American history in decades, award-winning historian Jill Lepore offers a magisterial account of the origins and rise of a divided nation. The American experiment rests on three ideas? "these truths," Jefferson called them?political equality, natural rights, and the sovereignty of the people. And it rests, too, "on a dedication to inquiry, fearless and unflinching," writes Jill Lepore in a groundbreaking investigation into the American past that places truth itself at the center of the nation's history. In riveting prose, These Truths tells the story of America, beginning in 1492, to ask whether the course of events has proven the nation's founding truths, or belied them. "A nation born in contradiction, liberty in a land of slavery, sovereignty in a land of conquest, will fight, forever, over the meaning of its history," Lepore writes, finding meaning in those very contradictions as she weaves American history into a majestic tapestry of faith and hope, of peril and prosperity, of technological progress and moral anguish. A spellbinding chronicle filled with arresting sketches of Americans from John Winthrop and Frederick Douglass to Pauli Murray and Phyllis Schlafly, These Truths offers an authoritative new history of a great, and greatly troubled, nation.